Hiring Moving Companies or Doing-It-Yourself – Which Will Be Your Pick? Moving is an extremely stressful event. Packing everything from big to small will be tedious enough and transporting the same will be nothing less than a nightmare. Here people have two choices- to hire a moving company or do it on their own. Some people prefer to handle everything by themselves, and this also includes packing and moving. But doing it by oneself will be the right choice only if one knows what he is doing. The truth is it will not make things easier. In fact, on the contrary, if you hire the services of a professional moving company for handling the hard part things will be simpler and organized. To organize the move yourself or hire movers is an age-old dilemma as a common headache associated with moving is to decide how to move to the new location or new home. A person may prefer packing and moving by himself, rent a truck as well as hire movers. A moving companywill take care of everything. People have choices with regards to relocating. To use the services of a moving company at the first go may seem quite daunting but this is a crucial choice to consider when looking for a budget-friendly solution. To ensure that you are making the right decision or helping a loved one decide, take a look at the pros and cons of hiring a professional mover versus moving yourself. If you have decided to handle the moving process in its entirety all by yourself, then you should be ready to face the extremely stressful experience. Even if you have a small house, you will have to move some bulky items which you cannot move through a sedan. Here it will be necessary for you to hire a truck. If your acquaintances refuse to let you utilize their vehicles, you will have no choice but to move via your own that too without hiring a truck which can be expensive and involve many hassles if it is a cross-country move. Besides, there are some additional considerations that you need to consider such as fuel and insurance. If you hire a truck, it is important to get insurance for the same which again is an added expense. Moreover, the truck rental company will not pay for the fuel which means you will have to take care of the fuel costs as well. Although the perk of doing it yourself will be that you will be capable of retaining control over everything. The best part is you will have the flexibility of packing everything as you desire, move at a pace you wish and also adapt to amends in your moving plan easily. But the best moving companies being highly adept in this industry and knowing the ins and outs of the entire process will handle your belongings as if these were their own. In fact, their business model indeed is built on this promise. The stress to move by yourself often can become too much. Here the best choice will be to hire the services of a professional moving company. Along with helping you in transporting your goods to your new destination they will also help in packing and unpacking the same which means you can pay attention to other priorities at the time of transition. Especially in case of a cross-country move, joining hands with these companies will be an intelligent choice. However, every good thing has some form of a downside, and here it is the cost. Professional movers usually charge a good amount resting on the weight of the items, gratuity and also insurance. This, however, is worth it because the chore of packing and moving will no longer be on your shoulders. If you wish to save some money, do the packing on your own and hire the movers just for loading and unloading your goods. The Amount of Goods Matter-If your move is more significant and there a lot of things to pack, going with a professional mover will be an easy and better choice. On the other hand, if you have fewer things, then you can handle the packing and rent a truck. Learning both about the weight of the goods and the size of the home will work wonders in helping you in determining the size as well as the moving vehicle type that is ideal for you. Even in the case of a small home you are free to hire a moving company. But keep in mind that some companies have a specific working hour, and if it is below it, you cannot utilize their services. It means that the movers will not come merely to move your couch. Check the Distance-When it comes to moving through a mover or yourself the choice will rest as per the circumstance. For instance, while shifting down the street doing it on your own will be a good choice, but if it is a cross-country move, it is best to leave it in the hands of a professional. Moving indeed has health risks while carrying and lifting home items. If you plan to move abroad, then there cannot be a better option than hiring the services of a professional moving company. So, it is you who needs to decide which will be a better choice to move yourself or hire a mover. Most importantly you need to consider the cost. Should you move an apartment of one-bedroom in the same city, the charge will be lesser compared to shifting to a new country altogether. 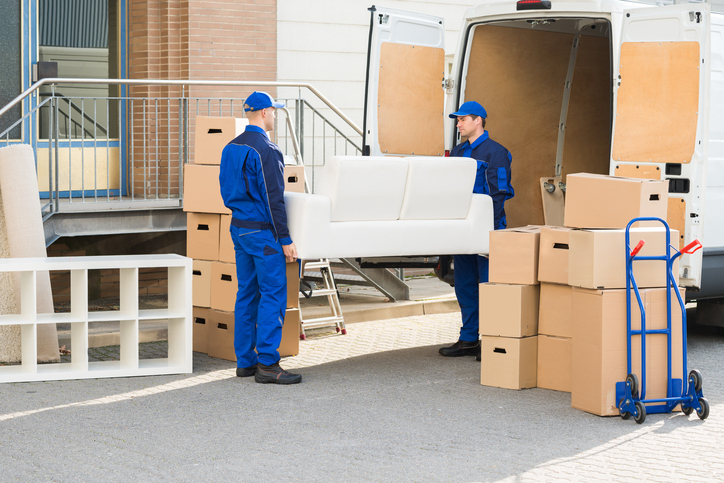 The Complexity of the Move-Your move will be complicated if you have several home appliances, expensive car, collections, valuable and breakable items, antiques and goods to dismantle or disconnect. By letting the pros handle your job, you can save a lot of effort, time and obligation. That means you can free yourself from getting your things dirty, lifting heavy objects, hesitating where to begin from, how to go about it, gathering people for handling a specific job or where to collect the equipment from. A professional moving company can offer you with a carpenter, locksmith and a handyman and every other thing that is needed so you will not require spending anything extra. Packing-Being an amateur it is quite likely that you may not have the needed packing expertise or if there are fragile and delicate things that require packing it is best not to take any chances by trying your hands on it. After deciding what are things that you plan to move the next step will be in preparing the quantity and packing supplies. While juggling between the two choices of moving yourself or hiring a mover, always remember that a mover along with offering the packing service will also provide the packing supplies. This way you can remain stress-free because the moving company that you hire will come with all the boxes, tapes, wraps and other necessary materials and nicely pack your stuff in just no time. Time needed for Relocation-If you take the responsibility of everything right from buying packing supplies, packing, carrying, loading, driving the truck, unloading to unpacking the entire process will take more time since you will be doing everything on your own. But when you hire a pro to take care of all this, things will be more organized, and the time required for completing the relocation will be less, after all, they have been doing it for ages. Experience can indeed make a difference. Finding Helpers- The two options of doing it yourself versus hiring a moving company will put you in a contrary state- doing it on your means looking for people or helpers to assist you in the whole process of packing, loading, dismantling and disconnecting the goods. On the contrary, the moving labor has the equipment and the right tool and resources which mean they will do everything quicker. Deciding amid moving yourself and hiring a mover are the two standard choices which you have while relocating. You may think doing it on your own can save you a lot of money, but this is a myth. That is so because you do not have much knowledge in this field, so you end up spending more in the process. Doing things on your own will include a lot of hidden costs which you may not be aware of. So, the best choice will be to hire the services of a professional moving company. Ensure to find a mover that is trustworthy and experienced and can cater to your moving needs easily. Take suggestions, check for reviews and testimonials, compare the prices and then make the right choice. With a little bit of research and homework, your move will be much simpler than you can think.